Michael G. Foster, who is called �Sense� by his many students, is the founder and head of the Yoshukai International Karate Association, (A separated branch of Yoshukai karate). In 1962, Mamoru Yamamoto broke away from Chito � Ryu and founded Yoshukai Karate. Mike Foster stayed with Mamoru Yamamoto in the break away. Chitose was the one to give Yamamoto the name Yoshukai Karate (meaning School of Continuous Learning). In 1966, Mike Foster returned to the United States as a 4th Dan (4th degree black belt). Mike Foster was highly successful in starting Dojo�s in the United States, and in 1967, Mike Foster was named U.S. Officer of Yoshukai Karate. In 1969, Yamamoto sent Hiroyuki Koda to the United States to spread Karate and train others. In 1976, Mike Foster the Director of Yoshukai America broke away from Yamamoto's organization because of a disagreement with Hiroyuki Koda, Vice Director, in application of techniques and administration. Mike Foster stepped down and established the Yoshukai International Karate Association (YIKA) while Hiroyuki Koda was named the director of the U.S. Yoshukai Karate Association (USYKA) for Yamamoto. In 1989, Mike Foster was awarded by the courts the sole right to use the name "Yoshukai International Karate Association" (YIKA), where today he has over 1800 members and over 300 Black Belts throughout the World. Mike Foster received his 2nd, 3rd, 4th, 5th, and 6th Degrees under Dr. Tsuyoshi Chitose. 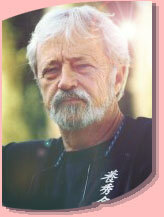 In 1977, Mike Foster received his 7th Degree under Sensei Mamoru Yamamoto. In 2003, The Shihan and Renshi classes of The Yoshukai International Karate Association (YIKA) bestowed the rank of Ku-Dan, (9th Degree Black Belt) and the title Hanshi, (Master Instructor) to Mike Foster at a ceremony given on May 17, 2003 in Titusville, Florida.